Click here to visit our web page! Artisan Soaps is open on Saturdays from 9 am to 5 pm, and by appointment. With over 60 different bars to choose from, Artisan Soaps offers the best selection of handmade soap in Great Bend KS. Made with Essential oils and delicious fragrances, you are sure to find one that you like! 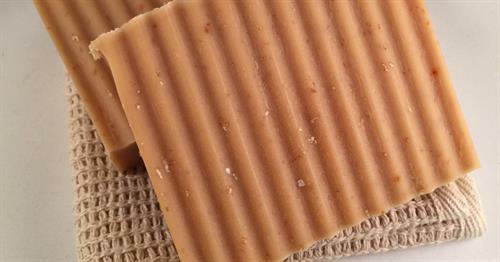 Unlike commercial cleansing bars, handmade soap is made with wholesome natural ingredients that won't dry out your skin. For this reason, people who struggle with psoriasis, eczema, rosacea and other skin sensitivities do much better with handmade soap. Artisan Soaps also makes and/or carries lip balms, skin care products, bath bombs, soy candles, tarts and tart warmers, soap bouquets, cleaning supplies, gift boxes and cards, and other miscellaneous accessories. Open 9 to 5 on Saturdays, and any other time by appointment.